Stipend During Training : `9300/- per month for the 1st year and ≈ `10500/- for the 2nd year. Online Application Period : Application will be accepted On-Line ONLY. Facility for On-line application will be available from 24/11/2012 to 18/12/2012. SELECTION PROCEDURE : Selection will be on the basis of performance in the interview. Educational Qualification And Experience : See Detailed Advertisement as link given with post. Pay Scale : 11535-700(2)-12935-825(2)-14585-840(17)-28865 plus allowances and other benefits as per rules in force. During the apprentice period, the candidate selected as Apprentice Development Officer will be paid a fixed amount as stipend per month as per rules of the Corporation. At present the amount of stipend is about Rs.19165/- per month, except in case of candidates selected from LIC Employees category. 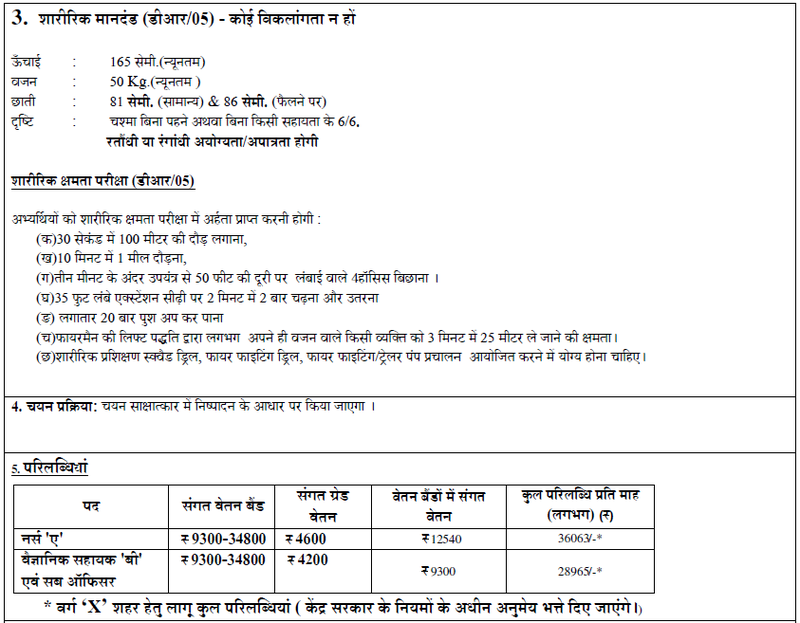 On appointment as a Probationary Development Officer, basic pay of Rs. 11535/- per month (except for Employee category candidates) in the scale of 11535-700(2)- 12935-825(2)-14585-840(17)-28865 and other admissible allowances as per rules shall be payable. Total emoluments will be approximately Rs.22065/-. Other benefits include Gratuity, Defined Contributory Pension Scheme, LTC, Medical Benefit, Group Savings Linked Insurance (GSLI), Group Personal Accident Insurance, vehicle advance (2-wheeler/4-wheeler) as per rules and on confirmation in service, attractive performance linked Incentives. more than 30 years of age (in completed years) as on 01.11.2012. Selection will be made on the basis of on-line test followed by an Interview of candidates who qualify in the on-line test. Candidates are necessarily required to apply On-line through LIC’s website under the heading “Careers” http://www.licindia.in/careers.htm. No other means/mode of applications will be accepted. Applicants are first required to go to the LIC’s website www.licindia.in and click on the “Careers” to open the link “ON-LINE APPLICATION FOR LIC ADO’s RECRUITMENT EXAM 2012-13”. Thereafter, open the Recruitment Notification and take a print out of the entire Recruitment Notification. EMOLUMENTS: Beside Basic pay, DA, HRA, CCA (wherever applicable) is also payable, as admissible. Allowances may vary depending upon the place of posting. In addition Lease Accommodation facility (in lieu of HRA) for Officers, Conveyance, Medical Aid, LFC & retirement benefits are admissible as per the rules of the Bank. PROBATION PERIOD: Selected candidates will be on probation for a period of one year from the date of joining the Bank. Candidates, aspirant for the post are required to apply on-line through Bank’s website ‘www.psbindia.com’. No other means/ mode of application will be accepted. 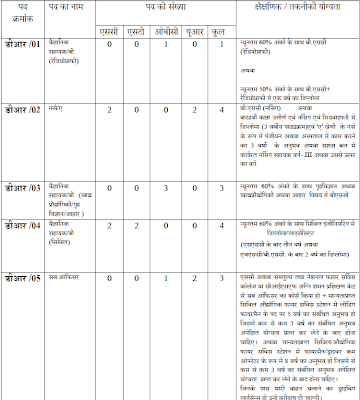 regular employees of ICAR in the administrative(ministerial) category. 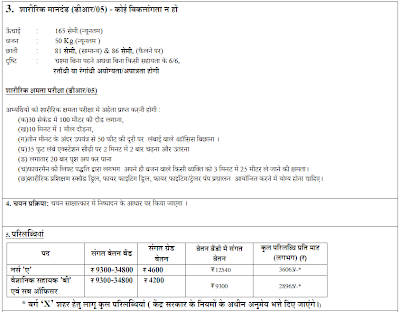 Last Date:-The last date of receipt of complete application is 31.12.2012. Pay Scale: 1.Rs.37400-67000 (PB-4) with grade pay of Rs.8700/-. 2.Rs.37400-67000 (PB-4) with grade pay of Rs.8700/-. 3.Rs.15600-39100 (PB-3) with grade pay of Rs.5400/-. 4.Rs.9300-34800 (PB-2) with grade pay of Rs.4200/-. 5.Rs.5200-20200 (PB-1) with grade pay of Rs.2400/-. 6.Rs.5200-20200 (PB-1) with grade pay of Rs.1900/-. Education: 1.Master Degree in Management with specialization in finance stream or equivalent Post Graduate 2 years full time Diploma in Management with specialization in finance stream; from recognized university/ institute or C.A./ICWA; or equivalent professional qualification ;from recognized university/ institute. years full time Diploma in Management with specialization in marketing/;Foreign Trade; from recognized university/institute. 3.Graduate degree from recognized institutions/ universities. 4.Graduate degree in Commerce/Business Administration/ Economics/Law/Science/Computer Science/Social Work/ Library Science/fashion technology/design & development/food technology/packaging from recognized university/institute or Diploma in Engineering. 5.Graduate, preferably in Commerce/Business Administration/Science/Economics/Computer Science/Law/Library Science/ fashion technology/design &amp; development/food technology/packaging from recognized university/institute. 6.Graduate or equivalent qualification. Should have working knowledge of computers. For Jr.Accounts Assistant, Degree should be in Commerce. organisations or in private employment, should submit their applications Online directly to TRIFED through its Website: www.tribesindia.com. Candidates who are employed in Govt./Semi Govt./Public Sector Undertakings/ Autonomous bodies/ Cooperative Societies and applying for appointment on direct recruitment basis, will have to produce No Objection Certificate from their employer at the time of interview. nano-material devices and/or related area in an industrial organization or R&amp;D Laboratory (or) Ph.D in the above areas. 2.First class Masters Degree in Botany, Forestry, Environmental Sciences in addition to above P.G. Diploma in RS/GIS OR M.Sc./M.Tech. (RS & GIS) with B.Sc. as Botany/Forestry as one of main subjects. Name of Post: "Junior Research Fellow (JRF)"
Desirable Qualifications: Strong desire to work with good knowledge of routine analytical and biochemical techniques. Candidates having relevant research experience will be preferred. CSIR/UGC/NET qualified candidate will be preferred. Fellowship: As per DBT norms. Note: DA, CCA, HRA / Leased accommodation, Leave Fare Concession, Medical Aid, Hospitalization benefits, Retirement benefits and other perquisites will be admissible as per the rules of the Bank. a. All Educational qualifications, Graduation / Post Graduation etc. shall be from a University recognized by Government of India. Technical qualification (B.E, B.Tech, MBA etc.) shall be from an institution accredited by AICTE / recognized by UGC wherever applicable. b. Any Degree / Engineering Degree viz. B.E., B.Tech. etc. wherever mentioned shall be FULL TIME course only. c. The experience in years should be post qualification experience on FULL TIME BASIS. d. Candidates must possess the prescribed qualifications/ experience as on 01.07.2012.
e. Experience relevant to the post for which the application has been made will only be counted for reckoning the attribute of experience. f. The candidates applying for all posts / scales should have proficiency in appropriate computer skills / working knowledge of application packages used in office automation / computer environment. The prescribed application is made available on the Bank’s website www.indianbank.in for downloading. Education:- Graduate from a recognized University/ Institute,Chartered Accountant or MBA(Finance) from reputed Institute ,MBA(HR) or Post Graduate Diploma in Industrial relations from a recognized University/ Institute. 1.Diploma in Engineering in Chemical / Petrochemical/Chemical Technology/ Petrochemical Technology with minimum 60% marks. 2.Diploma in Engineering in Mechanical / Production / Production & Industrial / Manufacturing / Mechanical & Automobile with minimum 60% marks. 3.Diploma in Engineering in Electrical / Electrical & Electronics with minimum 60% marks. 4.Diploma in Engineering in Instrumentation / Instrumentation & Control / Electronics & Instrumentation / Electrical &Instrumentation / Electronics /Electrical & Electronics with minimum 60% marks. 5.Bachelor Degree with Diploma in Personal Management / Industrial Relations with minimum 55% mark in each. Candidates should be proficient in operations of personal computer. as one of the subjects in graduation. 7.Bachelor Degree in Science (B.Sc.) with subjects of Physics, Chemistry & Mathematics with minimum 55% marks or B.Sc. (Hons.) in Chemistry with minimum 55% marks. 8.Matric plus ITI Tradesman ship/ National Apprenticeship Certificate in Fitter / Diesel mechanic / Machinist / Turner trade. 9.Matric plus ITI Tradesman ship/ National Apprenticeship Certificate in Electrical / Wireman trade. 10.Matric plus ITI Tradesman ship/ National Apprenticeship Certificate in Instrumentation trade. computer) and minimum speed of 80 w.p.m. in Shorthand. Candidates should be proficient in operations of personal computer. 13.Bachelor Degree in Commerce (B.Com) with minimum 55% marks and minimum typing speed of 40 w.p.m in English (in computer). Candidates should be proficient in operations of personal computer. 14.10th Pass with minimum 06 months Fireman Training course. should be retained by the candidate for use at the time of interview/test. Candidates are advised not to change their appearance till the recruitment process is complete. Failure to produce the same photograph at the time of interview/test, may lead to disqualification. 3.Technician (1)--SSC/10 th Standard with Science subject with 55% marks in the aggregate and ITI Certificate of Two years full time duration and experience as an apprentice in the DTP trade. Education:- 1. Graduate with Degree or Diploma in Library Science (one year course after graduation) of a recognized University or its equivalent. Two years experience in a public college, University or Departmental Library. Last Date:-LAST DATE FOR RECEIPT OF APPLICATION IS 7.12.2012 BY 5.45 P.M.
143, Sterling Road, Nungambakkam, Chennai – 34. Education :1. Technical Assistant:- 10 + 2 with Science subjects followed by First Class Diploma in Chemical Engineering / Petrochemical Engineering / Chemical Technology / equivalent of 3 years fulltime duration (2/2.5 years full time duration in cases of lateral admission after 10+2 if applicable) or its equivalent. M.Sc. / M.FSc in Fisheries / Industrial Fisheries/ Mariculture/ Aquaculture/ Coastal Aquaculture/ Marine Biology /Aquatic Biology / Zoology with specialization in Fisheries with working knowledge in MS Office & internet based operations. A minimum of two years experience in fishery development activity including ornamental fish breeding and culture. 1. Application in the prescribed pro-forma should reach “The Secretary, The Marine Products Export Development Authority, MPEDA House, Panampilly Avenue, Panampilly Nagar, Cochin-682036” on or before 30th November 2012. 02 years experience in Administrative field such as processing files, noting and drafting etc. 02 years experience in RTI related field and RTI replies. How To Apply : The application along with Curriculum Vitae and requisite Certificates/Testimonials duly self attested should be forwarded at the following address. The selection is confined to Ex-servicemen (male) with proper military background and experience of handling Arms and ammunition in the military. 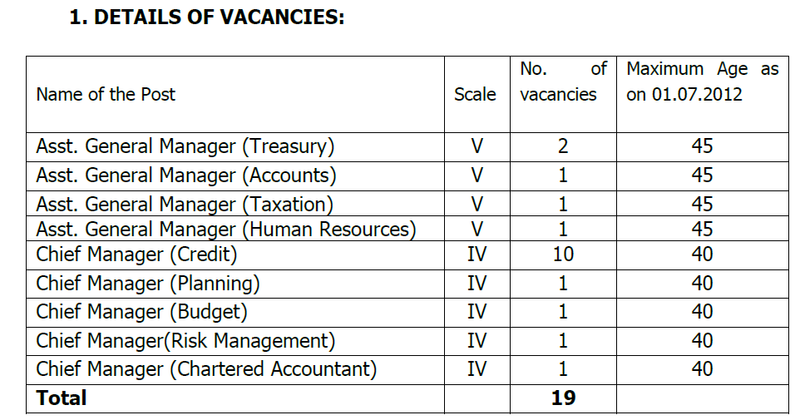 * The Bank reserves the right to increase/decrease the number of vacancies as per the requirement or not to fill up the vacancies. 3) Job Requirements/ Description of Duties: Selected candidates would be required to guard Bank’s property (residential/offices) and attend to other watch and ward duties at Hyderabad office/Bank’s quarters. Selected Security Guards have to work in shifts. A starting pay of ` 6350/- + ASP ` 170/- per mensem, in the scale of ` 6350-220-7230-260-8010-300-8910-400-9710-500-11710-680-13750 (20 years). The total emoluments at the starting scale at the time of issue of advertisement works out to be ` 15,093/- per month approximately. The lower and upper age limit for the post is 18 and 25 years respectively as on 01.11.2012. Selection will be made through interview of eligible candidates. Candidates found suitable will be placed on waitlist to be prepared subject to vacancy and reservation requirements. Mere fulfilling of eligibility criteria does not entitle a candidate to be called for interview. The Bank reserves the right to raise the minimum eligibility standards etc. 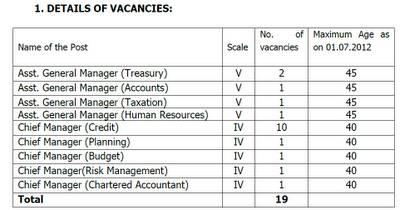 in order to restrict the number of candidates to be called for interview commensurate with the number of vacancies. The decision of the Bank in this regard, will be final. 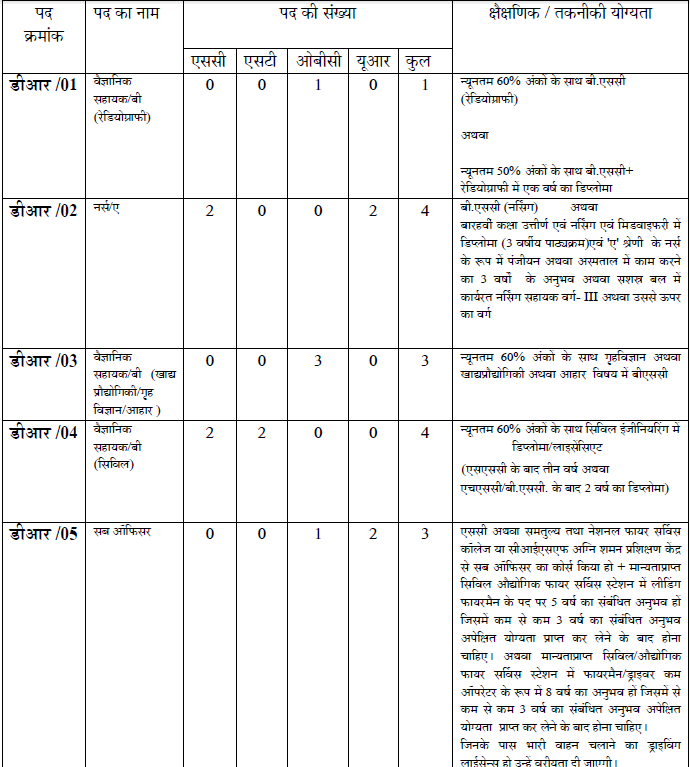 (i) Candidate must apply in the prescribed format of application published herewith. Application in any other format will be rejected. The Regional Director for Andhra Pradesh, Reseve Bank of India, HRMD (Recruitment Section), Saifabad, Hyderabad-500004, or may be deposited in the box kept at the entrance to the Reserve Bank's Hyderabad Office on any day, between 10.30 a.m and 03.30 p.m on Week Days except Saturdays, Sundays and holidays. No Application will be received in person or any acknowledgment given thereto. Applications, complete in all respects, must reach the Bank's Office on the aforesaid address, latest by November 23, 2012.